So, How Do You Create and Expand Your Product Line? Make a detailed list of the topics you teach others. Take the time to include everything you can think of, even if you have yet to teach it to others. Choose your overall topic and begin outlining a Signature training course on this. The idea here is to become known for being an expert and authority in your niche. Now make a list of everything within your Signature course that could be turned into a “stand alone” training. 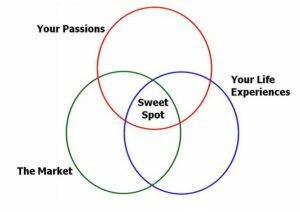 Start teaching where you are most comfortable, even if it’s not in your overall area of knowledge, experience, and expertise. Begin with a regular (weekly, bi-weekly) free teleseminar series and create a unique Study Guide to share with listeners each time. Go through your blog posts to see which topics you wrote about and which posts received the most comments and social shares. Those topics are most likely the ones that are resonating with your audience and readers. Read through the emails you’ve been sending to your list to discover which topics generated the most replies from your list. Outline a course you could teach during the next thirty days based on these topics that you know so well. Keep it simple! Use my strategies to create and expand your product line during 2017. These list building tips online are intended to focus and guide you through the process of building a success online business. If you’d like to download my latest Focus Guide on Repurposing Your Content, click on this link. Feel free to share it with anyone who may benefit from what I am sharing. Also, my Study Guides are available here for many of my recent podcasts. This one is from December 1, 2016, so simply look for that date in the list and download your Study Guide. Please be sure to leave your comments below so that I may get to know you better and to serve you as you continue your journey as an online entrepreneur. List building tips online is a great place to begin. Getting started with an online business will change your life forever and my reward is your massive success! This entry was posted in Online Marketing Tips and tagged Expand, Line, Podcast, Product on December 2, 2016 by Connie Ragen Green. For Felicia Slattery, public speaking became a part of her life at an early age. Whereas speaking in front of groups is frightening to most people, Felicia takes it to a new level with grace and ease. Now she works with business professionals to help them put together effective presentations in order to market their businesses. This includes presenting on webinars, creating powerful videos, and using storytelling to get your message out to the people who need most to hear it from you. Over the past ten years Felicia and I have crossed paths repeatedly at a variety of conferences and events, and I am honored to have shared the stage with her at several them. The photo above was taken at her new home near Knoxville, Tennessee. I had the pleasure of spending time with Felicia and her family while I was visiting friends there recently. During that time I was able to get to know Felicia even better and I have the greatest respect for what she brings to the table in both her life and her business. During this podcast interview (you may listen here on this page or over at iTunes) we discuss public speaking in a way you may not have heard from anyone else. She feels that speaking is an opportunity to build relationships from the stage and carry them forward into the future. 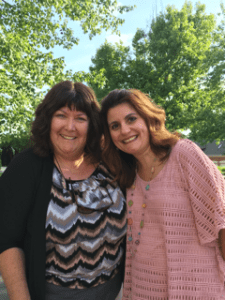 I shared my story of getting started as a speaker with Felicia, and she told me that what I had experienced was typical of someone who had not previously been a public speaker. I was comfortable speaking in front of students while I was a classroom teacher, but speaking to adults in a business setting was terrifying for me. Now that has changed, but it took several years for me to get there. Speaking falls into one of the three greatest fears for most folks, and Felicia says this is with good reason. Felicia is also a bestselling author of several books on topics around public speaking, and you can take a look at here titles to see which ones are a good fit for what you are working to accomplish in your own business. We also take a look at Felicia’s “Speaker One Sheet Templates“, a package I highly recommend. These are templates you open in PowerPoint or Keynote and simple copy and paste your photo and information into the areas she has designed. When I first had something like this created for me the cost was over ten times what she is charging, and you can create as many different styles, colors, and designs as you wish in order to let others know that you are a speaker, author, or corporate consultant. 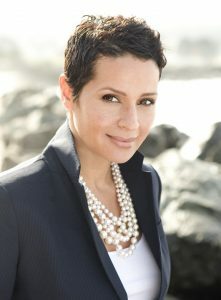 I know you will enjoy and benefit from my conversation with Felicia Slattery. Public speaking can open doors and provide you with opportunities you might otherwise miss, so please listen to this interview to learn more about incorporating it into your life and business. This entry was posted in Online Marketing Tips and tagged Felicia, Podcast, Public, Slattery, Speaking on November 5, 2016 by Connie Ragen Green. 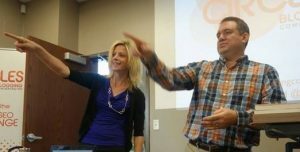 This entry was posted in Online Marketing Tips and tagged Alicia, Dunams, Entrepreneurship, Podcast on September 2, 2016 by Connie Ragen Green. Think about each of these points, listen to the podcast, and then comment below. I would love to hear your thoughts on these ideas and concepts in regards to how adding multiple streams of online income will enable you to be a more successful entrepreneur. Finally, I share my thoughts and ideas on…What Do You Need For Successful Entrepreneurship? This podcast training is based on my recently created Focus Guide on the topic of multiple streams of online income. Download it here and take massive action quickly for best results. Are you ready to be surprised? Recently, I have introduced a new feature during these podcast training calls. I will always have the latest course or program, either one of my own or one offered by someone I highly recommend, at my Surprise! link. Check it out today and see what I am recommending this week. If it’s not my own program, product, course, or live event then it’s always from someone I know, trust, and highly recommend as a great value to you as an online entrepreneur. My most recent book is now available. 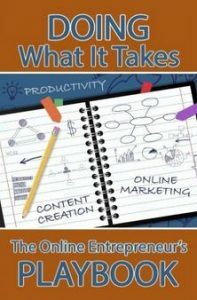 It’s entitled Doing What It Takes: The Online Entrepreneur’s Playbook and I’d love to hear your thoughts on it by way of a review on Amazon after you read it and implement my suggesstions. This entry was posted in Online Marketing Tips and tagged Income, Multiple, Online, Podcast, Streams on August 21, 2016 by Connie Ragen Green. The question is…are you blogging for your business on a regular basis? Your blog is your “home on the Internet”. A hosted WordPress site is your best option. Post twice a week during your first year and once a week thereafter. Use keyword phrases in your permalinks. Always ask yourself if what you are doing is moving you closer to or further away from your dreams and goals and then adjust your behavior, thoughts, and actions accordingly. Think about each of these points, listen to the podcast, and then comment below. I would love to hear your thoughts on these ideas and concepts in regards to how blogging for your business will enable you to be a more successful entrepreneur. I also discuss how blogging for your business will help you to find your voice, how you can “blog your book”, and the four types of content for your blog – original writing, guest posts, curated content, and PLR (private label rights) content. My most recent book is now available. It’s entitled Doing What It Takes: The Online Entrepreneur’s Playbook and I’d love to hear your thoughts on it by way of a review on Amazon. 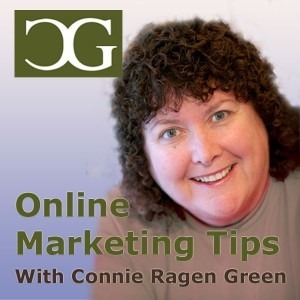 This entry was posted in Online Marketing Tips and tagged Blogging, Business, Podcast on July 19, 2016 by Connie Ragen Green. This entry was posted in Online Marketing Tips and tagged &amp, Blogging, Concentrated, Martin, Morris, Podcast, Rachel on July 18, 2016 by Connie Ragen Green.